It is a place that challenges him to create and shape his ideas. 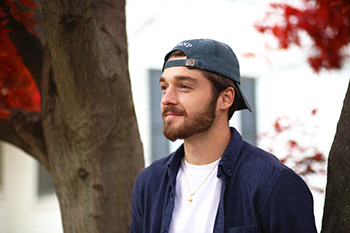 The freedom to fail he’s found at Wabash has given Riggs quite the confidence boost, and people are noticing. 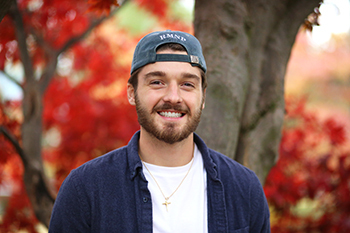 It took a lot of that passion and confidence for this financial economics major to start his own digital marketing company. Riggs laughed and shrugged off the suggestion. His dad’s behind-the-scenes work landed Riggs a lunch with the CEO of ESG Security, a private company that provides security for Bankers Life Fieldhouse, the Indianapolis Indians, and Indy Eleven, where he was asked to run their social media accounts. The next month, he acquired four more clients – two of whom were speakers he had worked with at TEDxWabashCollege. What started out as a way to earn a little extra money is now the company, SHIFT., and his solo effort has grown to a team of six, including Myers. SHIFT. took off through social media consulting and helped many Wabash clubs on campus with their accounts along the way. After Thanksgiving, they will start offering several services as a larger digital marketing agency, including website design, digital advertising, and content creation. The busyness he was worried about hasn’t changed. On top of SHIFT. 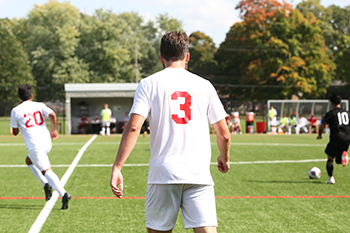 and – of course – his classes, he’s an officer for Lambda Chi Alpha, the co-director of TEDxWabashCollege, one of the Sons of Wabash, and a starting member of the soccer team. He keeps a regimented daily schedule – one that’s maintained by three time-management priority apps! He also often reflects on his freshman tutorial with Dean of Students Mike Raters ’85, where he learned he can only control so much. His father, however, isn’t surprised at all. His four favorite words?